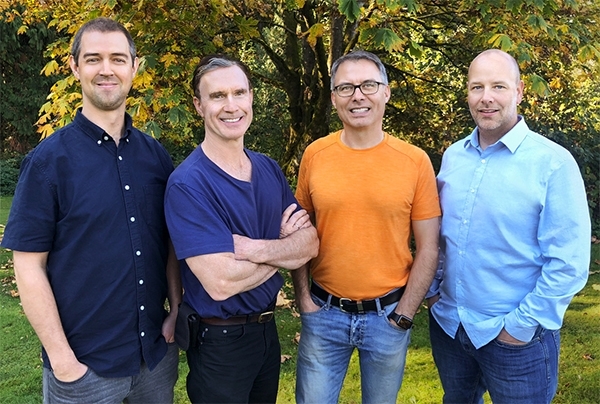 Left to right — Jeff Harder, Dr. Don Burke, Dr. John Pawlovich, Dave Loewen. In 2017, Drs. Don Burke and John Pawlovich met at the BC Rural Healthcare Conference in Prince George, BC while presenting on critical care, and telehealth and remote medicine, respectively. 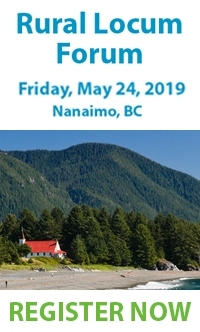 Out of this initial chance meeting spawned an idea to support physicians in rural and remote BC in a new and exciting way: provide physicians with timely access to kind, knowledgeable, and collaborative assistance at the point-of-care for the most critically ill patients. The seed for CODI (Critical Outreach and Diagnostic Intervention) was sown. Together with Dave Loewen and Jeff Harder, representing the technical side, CODI was born. CODI is a secure iOS smartphone app that is an integration of technology and the “right people” to support rural providers during stressful and challenging times in the emergency room. Literally, it is an on-demand, 24/7 “intensivist in your pocket” that can directly connect a rural physician to an intensivist using technology similar to a FaceTime call. CODI’s simplicity makes it powerful: through the touch of a button on a familiar device, people are connected in real time to work together through complex, intimidating and anxiety-filled situations. Virtual critical care consults are dictated and sent on for transcription using the secure app. Medical reports flow back to the rural physician in an extremely timely fashion for integration into the patient’s chart. CODI specialists are selected for their knowledge and skill, compassion and empathy, rural awareness, and willingness to help. Through this easy connection of humans, anxiety is lessened, physicians and nurses are empowered, and most importantly, patients gain an exceptional level of care. CODI raises everyone’s game in the rural emergency room. Moreover, through this collaborative care process value-added benefits such as education start to be possible. Bedside review of sepsis management, need for intubation, chest tube insertion or central line insertion are just some examples of clinical presentations that can be taught on-the-fly. The rural emergency room in Canada has never seen anything like CODI – this blend of technology and the right people has created a BC-developed care strategy that is truly transformative. While the technology is impressive, it is the human element of CODI that will likely provide the greatest positive impact on rural healthcare. Chronic stress undermines the community life expectancy of a rural and remote physician. It is plausible that CODI’s virtual, 24/7 presence in the pocket of a physician will lessen anxiety, build confidence, enhance quality of life and positively impact recruitment and retention in rural and remote BC (and ultimately, all of Canada). Enhanced patient outcomes and reduced out-of-community transfers are other potentially positive outcomes of CODI. To date, over 200 rural providers have signed up for CODI. The next phase for CODI will be the addition of CODI-EM (Emergency Medicine).This second phase will allow rural providers to reach out for immediate support on cases proving to be a challenge in the emergency room, both critical and non-critical. An all-encompassing EM support strategy could prove beneficial to vulnerable providers in the rural setting (young graduates, International Medical Graduates, Practice Ready Assessment physician, those returning to rural practice after a long absence, etc.). CODI is proving to be the most transformative blend of technology and people the rural emergency room has ever seen, with rural colleagues articulating that CODI should be the “Standard of Care.” Time and evaluation will determine the true positive outcomes of CODI, as there is clearly a domino effect in smaller communities when healthcare in empowered and doctors are truly supported. Although it is early, CODI is making a difference!